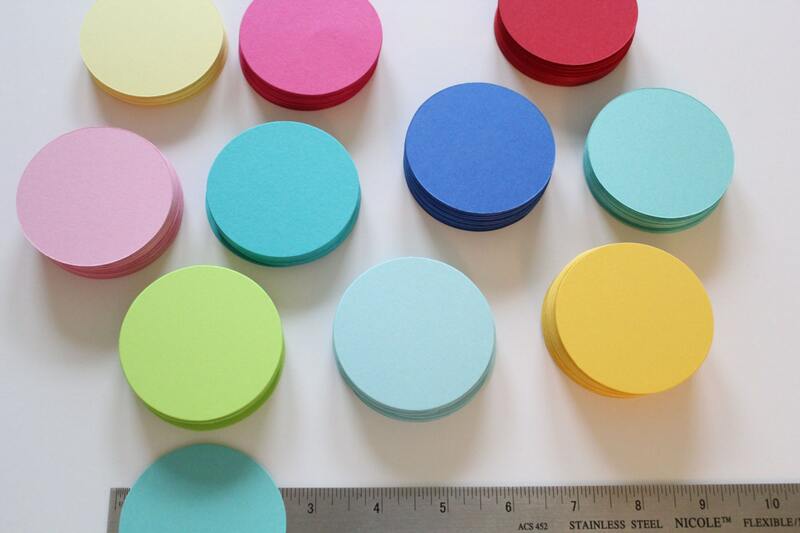 This listing is for 150 die cut circles in the 2.5" circle size. Made from 65lb card stock. 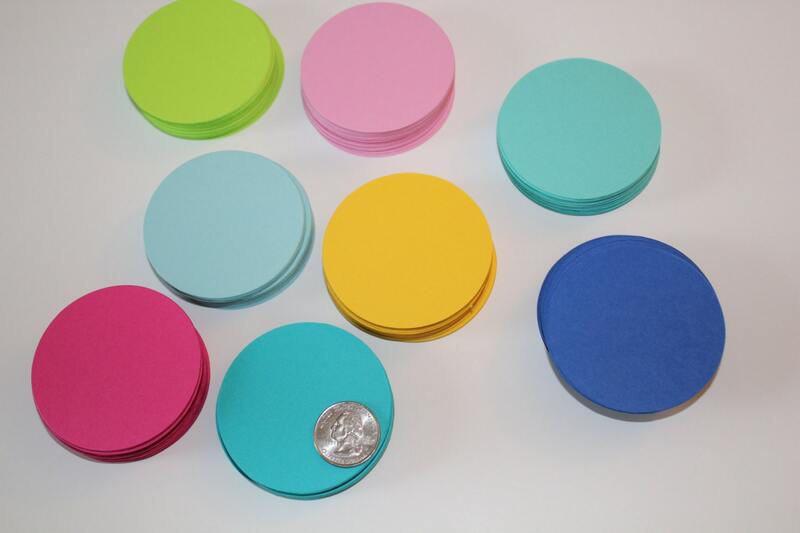 These die cut card stock circles can be used for paper crafting, scrap booking, favor and gift tags, sewing paper garland and many more uses. 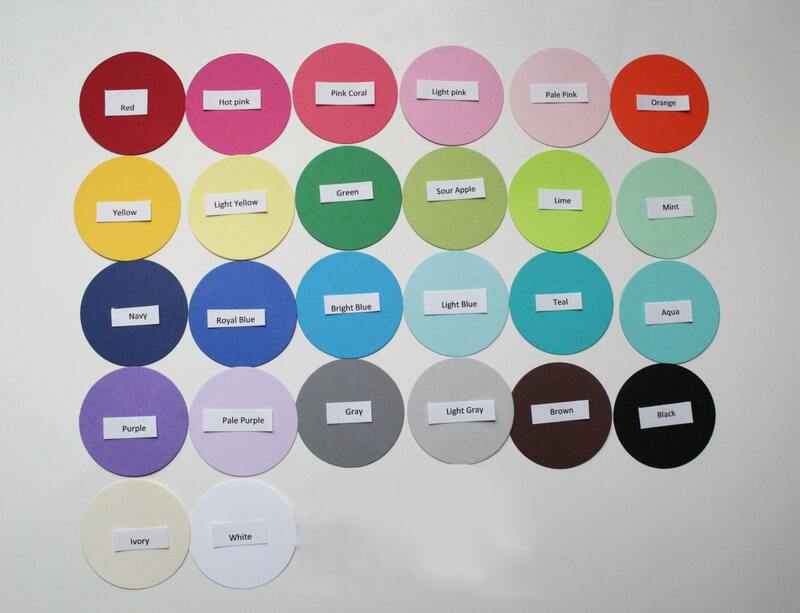 YOU MAY PICK AS MANY COLORS as you would like from the colors chart and include your color selections in "message to seller" at checkout.